A ‘Net Zero’ home: What does it really mean? In Canada, our new homes are already some of the most energy-efficient in the world. There has, however, been a lot of discussion about “Net Zero” as it relates to housing, homes, and what it means in terms of building code changes and timing. Columnist Bob Finnigan explains the difference between a Net Zero, and a Net Zero Ready, home. The answer is complex, but what we do know is the expected plan from the federal government is to mandate all new homes must be Net Zero energy ready by 2030. So what is the difference between a Net Zero home and a Net Zero energy-ready home? A true Net Zero home produces as much clean energy as it consumes. These homes are up to 80 per cent more energy-efficient than typical new homes, and they use renewable energy systems to produce the remaining energy they need. In a Net Zero energy-ready home, the infrastructure is in place to be able to access an onsite renewable energy system, with the goal of being Net Zero energy in the future. In both cases, that renewable energy source could be solar photovoltaic panels on the roof, wind or water turbines – all in combination with a battery storage system and solar thermal panels (for hot water) – and it could also include a geothermal heating system. But, the key is the home becomes Net Zero only when it reaches the goal of producing as much energy as it consumes. While there are a few Net Zero homes across the country, most have been built as part of demonstration projects through grants and funding from industry manufacturers, Natural Resources Canada and CMHC. All of this sounds fantastic, but the road to get there will not be smooth and easy. To start with, making these homes ultra-efficient is expensive. The framing changes; walls get thicker; vapour barriers and air-sealing are more detailed; there is a lot more insulation in the walls, roof and under the basement floor; windows and doors are upgraded; the roof is reinforced to allow for the weight of solar panels; better and more efficient mechanical systems are required; conduit is needed for future energy sources . . . and the list goes on. Today’s technologies and materials that can make the incremental increases in energy-efficiency required to be Net Zero ready cost $22,000 to $40,000, depending on house size and type. That is a huge amount of additional cost to the new homeowner, and without the benefit of a renewable energy system, which can double the cost, the payback in energy savings does not make economic sense today. The new home building industry in Canada is up to the challenge, but it will take time. Demonstration projects have offered valuable information as to what works best, and more importantly, what doesn’t. None of the Net Zero projects has been mandated; they have been done by able and willing volunteer builders who understand the best way to move along innovation is through partnerships, not heavy-handed legislation. As we ramp up to 2030, new technologies and materials will become the norm. As the trades get used to doing things a new way, the added labour and time required to build Net Zero homes will be less – and the net effect, we believe and hope, is that the additional cost to become Net Zero ready will be reduced substantially. However, there is a black cloud hanging over all of this. The Ontario government might shorten the timeframe and move up the 2030 goal by several years. This would strain the process and cause undue stress on cost, which unfortunately will raise prices for new homeowners. That said, becoming Net Zero energy is going to involve a new way of thinking about how we generate and distribute energy. It will also take coordination with planners and all levels of government as we look at district energy plants and where to put them and access them. 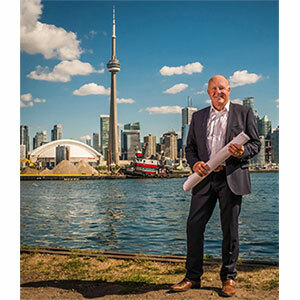 Bob Finnigan is Principal and COO Acquisitions & Housing at Herity, and is the President of the Canadian Home Builders’ Association. A 'Net Zero' home: What does it really mean?